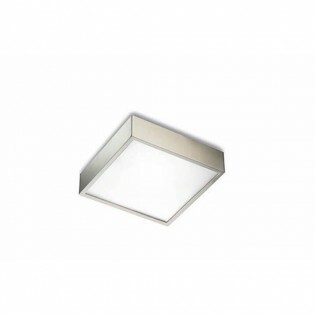 Ceiling flush light Esferic square-shaped made of aluminium and finished in matt nickel, integrated LED lighting, energy-saving technology. Very functional design, small size, ideal for lighting kitchens, living rooms or other modern style rooms.Dimensions: High 11 cm. Length 10 cm. Width 10 cm. 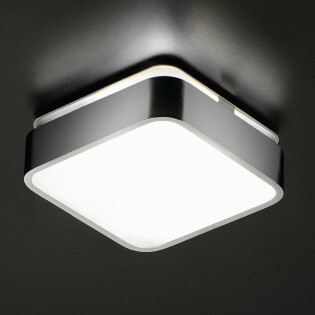 Ceiling light with LED Lighting of high potency (40W - 3300 Lm.). Brass frame finished in matt nickel and glass diffuser. 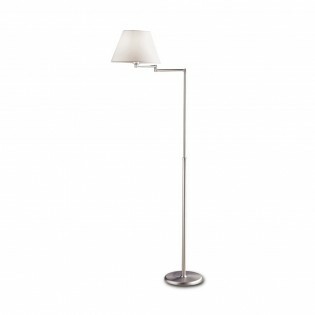 An elegantly designed lamp in a rectangular shape, perfect for any modern room or room. Dimensions: Length: 120 cm. Width: 6 cm. High: 120 cm. The ceiling light IGLU by Pujol iluminación is an original pendant light with a steel frame and a methacrylate lampshade. A perfect lamp for living rooms, bedrooms or kitchens in a modern, vintage or retro style. 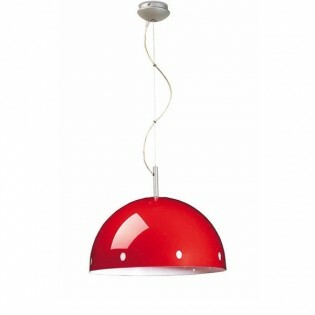 It is available with the lampshades in different colours (White, Orange, Red). Dimensions: Diameter: 30 cm. High: 140 cm. 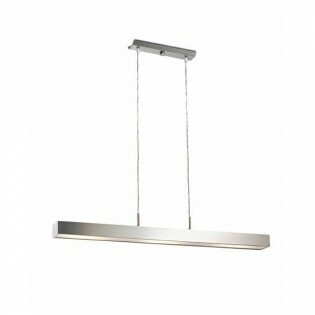 Pendant light from the collection Athena with lighting LED integrated. You can adjust the intensity of the light as needed. It has a rectangular design made of aluminium with a chrome finish. Ideal for living rooms, dining rooms or other modern style rooms.Dimensions: Length 120 cm. 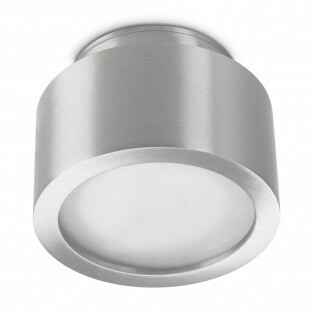 Ceiling light with cylindrical bell made of chrome finished aluminium and integrated 8 W LED LED lighting. Its minimalist style will fit perfectly in all types of rooms. For example in the kitchen, dining area, living room etc.Dimensions: High 150 cm. Diameter 8 cm. Ceiling light ideal for those looking for a modern design with a cheerful touch. The colours in which it is available are ideal for you: yellow, blue, white, black, red or green. 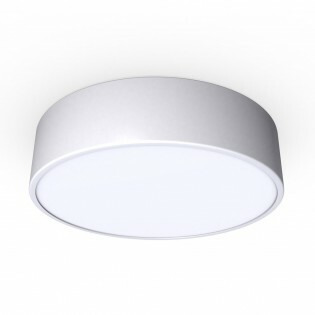 Integrated LED with 7.8 W minimum and maximum power consumption as soon as it is switched on. Ideal for bedrooms. Dimensions: Height 150 cm. Diameter 19 cm. Ceiling light with lighting LED and Collection Bola. 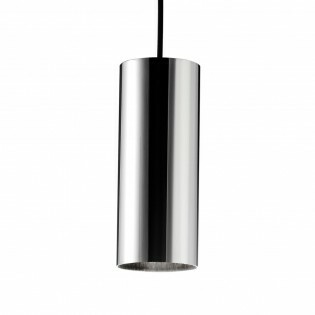 It features a modern design with a dial-shaped lampshade and a glossy chrome finish. Ideal for simple decorations but decorated with modernity and minimalism.Dimensions: Diameter 14 cm. 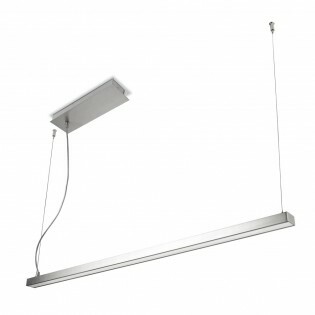 Ceiling light with lighting LED integrated 25 W, adjustable in intensity. 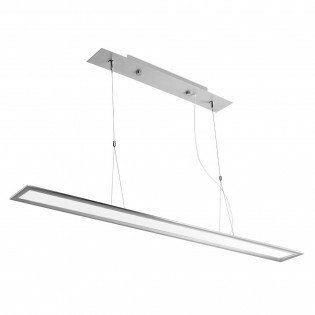 Its design, of great originality and modern style, is formed by a large aluminium bar finished in matt nickel and metal threads as support to the ceiling. Ideal for lighting dining room tables, living rooms...Dimensions: Length 120 cm. The ceiling light RETRO (small size) by Pujol Iluminación it is an original pendant light with a steel frame and a methacrylate lampshade. A perfect lamp for living rooms, bedrooms or kitchens of vintage or retro style. 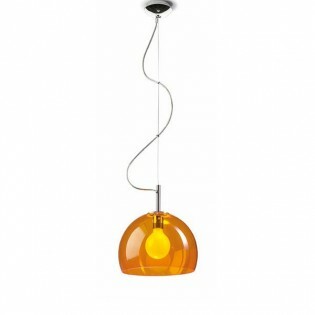 It is available with the lampshades in different colours (White, Black, Orange, Red). Dimensions:Diameter: 34 cm. The ceiling light RETRO (big size) by Pujol iluminación is an original pendant light with a steel frame and a methacrylate lampshade. A perfect lamp for living rooms, bedrooms or kitchens of vintage or retro style. It is available with the lampshades in different colours (White, Black, Orange, Red). Dimensions:Diameter: 44 cm. Floor lamp with steel structure finished in matt nickel (possibility to adjust its Height) designed in zig zag and Fabric lampshade. Lights up with switch included in the cable. Perfect for reading light in your living room, bedroom etc.Dimensions: High 100 - 175 cm. Diameter 30 cm. 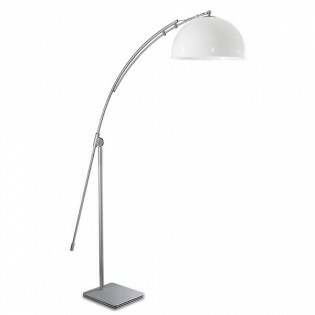 Floor Lamp Lounge modern style with aluminium and steel frame and matt nickel finish. 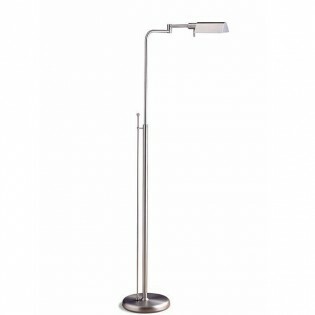 With steerable arm makes it very practical to place in living rooms or office as a reading light or complementary light to the main light of the room. Lamp made with top quality materials. LED Lighting very low power consumption (5W). Dimensions: See the picture. 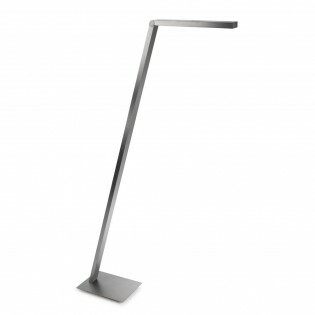 Floor Lamp Lounge led DEL,modern style with frame and diffuser made of aluminium and finished in matt nickel colour. Large size, very practical arm to place in living rooms or office as a reading light or complementary light to the main light of the room. LED Lighting very low power consumption and high performance (5W). Dimensions: See the picture. Floor Lamp Lounge LED DISC, modern style with frame and diffuser made of aluminium and finished in chrome. 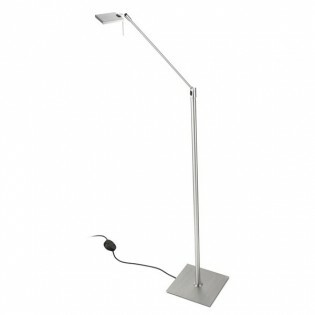 Steerable arm perfect for use in living rooms or offices as a reading light or complementary light to the main light. LED Lighting of high potency (11W).Dimensions: See the picture. The Floor Lamp Lounge of classic style, frame made of brass-steel and diffuser in steel. Matt nickel finish. A perfect floor lamp for reading lovers. Ideal for use in living rooms, offices or bedrooms. Dimensions: High: 100 - 160 cm. Adjustable Height. 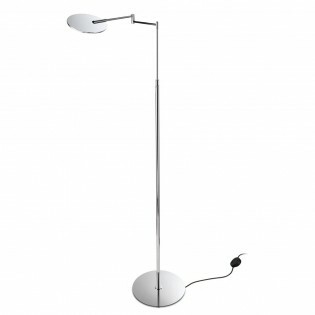 The Floor Lamp Lounge GIRAVOLT is a modern-style lamp, with steel frame, polyester parchment diffuser and chrome finish. 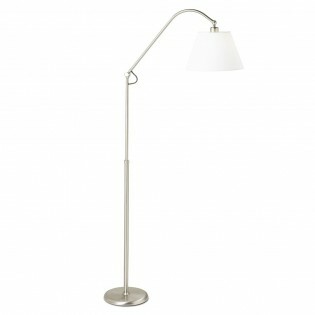 A perfect Floor lamp to place in corners of living rooms, offices or bedrooms. Dimmable lighting. Dimensions: High: 150 cm. Diameter base 20 cm. The Floor Lamp Lounge GIRAVOLT is a modern-style lamp, con armazón realizado en acero, difusor pergamino poliester y acabado color cromo. A perfect Floor lamp to place in corners of living rooms, offices or bedrooms. Dimmable lighting. Dimensions: High: 150 cm. 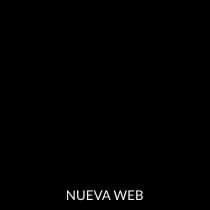 Base: 25 x 20 cm. 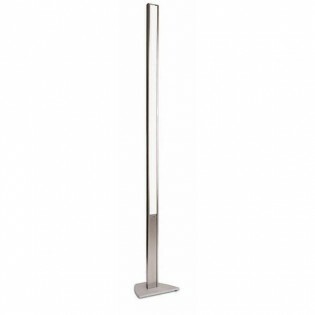 Floor lamp with LED Lighting Dimmable (regulates the brightness). Main light (15W - 2000 lm.) and reading arm steerable (4W - 180 lm.). Classic design but with the latest LED technology. Steel frame finished in matt nickel and glass diffuser. A perfect lamp to place in corners of living rooms, offices or bedrooms. Dimensions: High: 184 cm. Diameter: 23 cm. 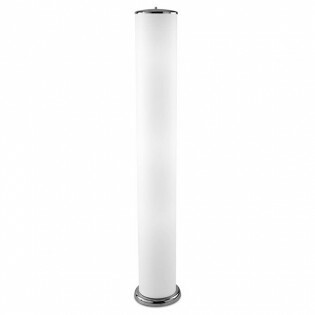 Floor lamp with LED Lighting of high potency (LED 37W - 2900 lm. Warm light). Modern design with straight, minimalist lines. Steel frame finished in matt nickel and methacrylate diffuser. 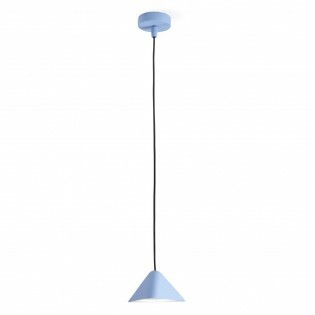 A perfect lamp to place in corners of living rooms, offices or bedrooms of modern style. Dimensions: High: 160 cm. Diameter: 22 x 25 cm. 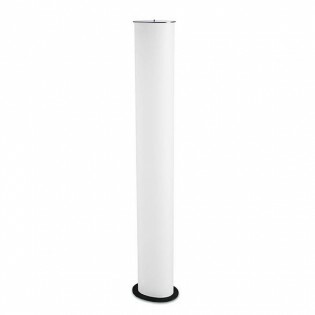 Floor lamp with LED Lighting dimmable (regulates the brightness). LED 37W - 2900 lm. Warm light. Modern design with straight, minimalist lines. Steel frame finished in matt nickel and methacrylate diffuser. 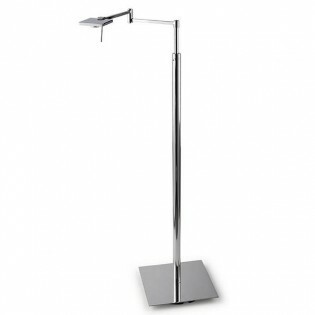 A perfect lamp to place in corners of living rooms, offices or bedrooms of modern style. Dimensions: High: 160 cm. Diameter: 22 x 25 cm. RETRO it's a precious Floor Lamp Lounge with steel frame and matt nickel finish. A perfect lamp for living rooms or offices of any lover of the vintage or retro style. 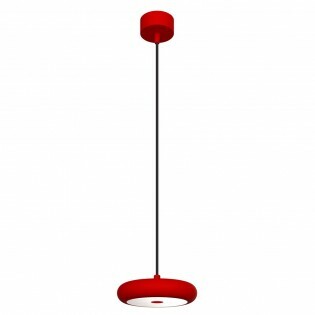 It is available with the lampshades in different colours (White, Black, Orange, Red). Dimensions: See the picture. 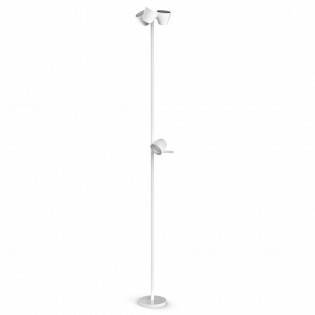 Floor lamp made of metal available in modern and modern finishes: white, chrome or black. At the top there are three lighting points LED, 7.8 w each, colour temperature adjustable. It has an auxiliary light that helps to complete the lighting for moments that require better visibility. Dimensions: Height 190 cm. Diameter of lampshades 9 cm. 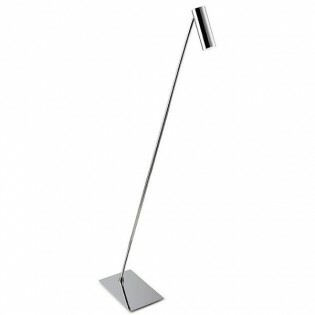 Floor lamp with rectangular and square shapes composing the design. Light LED perfect for lighting low consumption rooms such as the living room, bedroom or dining room. Adjustable light intensity. Available in white, black or rust (for more information on these last two finishes, contact us). Dimensions: Height 165 cm. Width 50 cm. Flush Light modern style with LED lighting. Brass frame finished in matt nickel and glass diffuser. 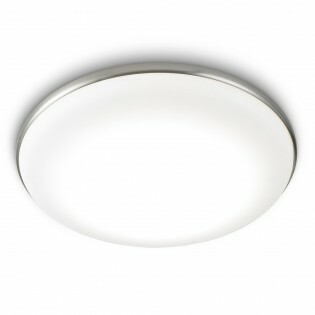 A perfect Flush Light for lighting modern kitchens, hallways, bathrooms or living rooms. Very elegant. Available in three sizes and power capacities (12W-15W-21W). Dimensions: - Small:20 x 20 x 7 cm.- Medium: 35 x 35 x 7 cm.- Big: 50 x 50 x 7 cm. Flush Light with lighting LED integrated with adjustable intensity. 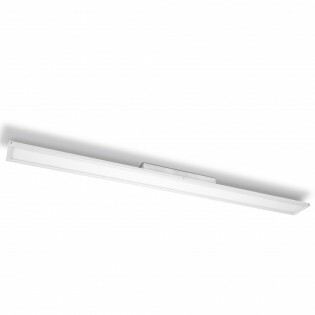 It is a design made of aluminium with a white finish, great length and rectangular shape. Perfect for lighting rooms such as the modern living room, dining room or bedroom.Dimensions: High 10 cm. Length 120 cm. 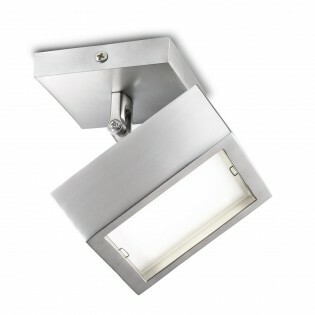 Ceiling flush light with light LED integrated to which you can regulate the intensity. 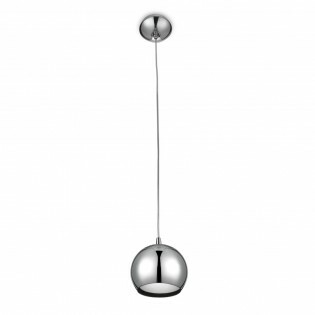 It has a rounded design, steel construction and chrome finish. A very functional design to place in the kitchen, bedroom, living room etc.Dimensions: High 10 cm. Diameter 50 cm.